Want to optimize your parking portfolio? 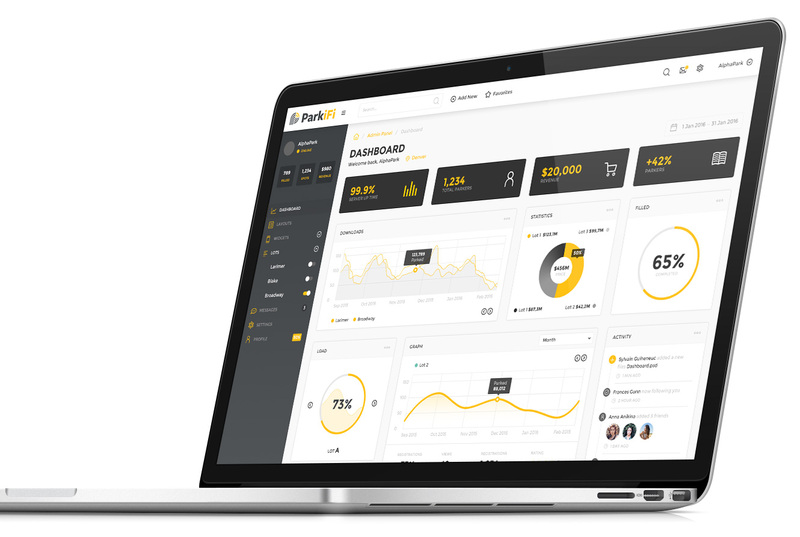 ParkiFi's spot-level, real-time parking data is changing the parking equation. Drive more revenue. Optimize your efficiency. With spot-level parking data from lots, garages, and on-street parking a click or touch away, operators can access inventory and gain actionable insights effortlessly. Manage your facilities from anywhere, at any time, from any device through ParkiFi’s cloud-based analytics dashboard. Maximize your citation revenue with ParkiFi's enforcement module. Optimize pricing to match supply and demand. Understand your full utilization with real-time, historical, and predictive analytics based on occupancy, turnover, and dwell time. ParkiFi offers operators and municipalities varying pricing models and terms, making it easy to get on the ParkiFi platform. Leverage the ParkIFi mobile app or one of ParkiFi’s partner apps to broadcast real-time availability of your inventory. Spot-level parking data. Portfolio transforming results. Access your facility’s inventory anytime, anywhere, from any device. Understand real-time occupancy, turnover, and dwell time metrics to maximize revenue and manage your facility more efficiently. Track data across real-time, historical, and predictive timeframes to understand the whole picture. Integrate ParkiFi with your PARCS equipment and overlay our sensor data with your payment data. Prioritize your enforcement agents’ efforts by displaying how many active violations are in your facilities. Maximize citation revenue and increase driver compliance. Increase revenue by leveraging exterior and interior wayfinding signage to attract transient parkers and improve your customers’ parking experience. Display your availability data on your own native application, ParkiFi's mobile app, or one of ParkiFi's partner apps via our open API.